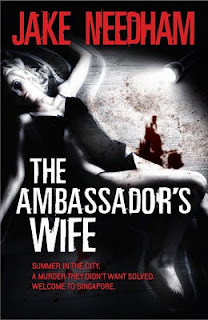 Not so much forgotten as inaccessible: Jake Needham's The Ambassador's Wife was published in Hong Kong in 2006 and is about to be reprinted in Singapore by Marshall Cavendish Editions; but there hasn't been, and evidently will not be, any circulation outside of Southeast Asia. The Ambassador's Wife features Inspector Samuel Tay of the Special Investigations Section of Singapore CID, but it's really about Singapore more than Tay. In fact, Tay is in a way a personification of Singapore: Westernized and somewhat insecure, but very efficient and dedicated to his job. Tay is in fact wealthy, but stays with the police rather than lapsing into a life of leisure. He's presented with a puzzling case when a woman's body is found in the Marriot Hotel, in a room that was not supposed to be occupies. She is battered, sexually abused, and posed, but the scene has been thoroughly cleaned. When she eventually identified, the American embassy becomes involved (I won't say why, unless spoilers are requested) and Tay is assisted and/or obstructed by an FBI agent and a security officer from the embassy. The case presents few leads but ultimately leads Tay on a deadly trip to Bangkok. In a way, the book is a Bildungsroman, leading Tay toward a maturity that, despite his years, he has not previously achieved. By the end, his attitudes toward the case and those involved has shifted considerably, and his own insecurity and ambivalence is at least partly cleared up. What starts as a somewhat dark but conventional detective novel darkens and deepens considerably by the end. There are a number of false leads and a few loose ends, but the conclusion makes sense in terms of Tay's personality and his personal journey. But the city state of Singapore (and to a lesser extent Bangkok) is the main character: there have been only a few Singapore crime novels available in the West, including one by Hwee Hwee Tan, a couple by Gopal Barathan, and the most recent in the series featuring Inspector Singh, by Shamini Flint. None of those gives quite as comprehensive view of the city and its citizens as Needham gives here. 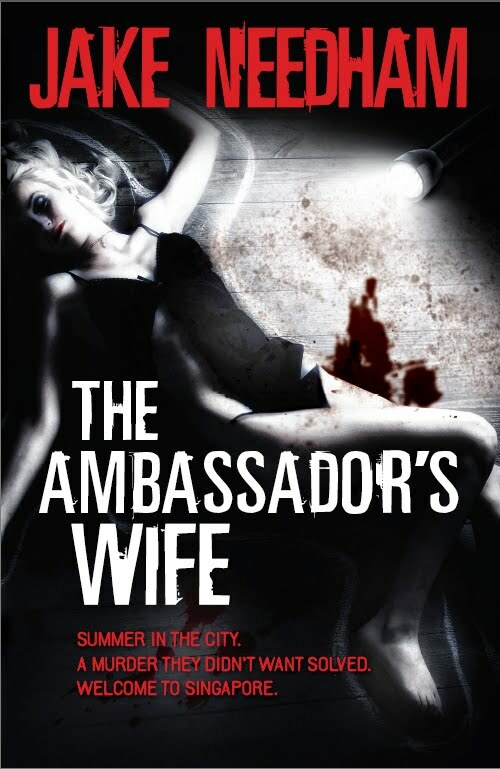 The Ambassador's Wife most closely resembles Flint's books, among the Singapore crime novels, but the Singh stories retain a cozy quality that Needham steers away from, into noir territory. I have never read any book set in Singapore or Hong Kong for that matter. This couples nicely with the "Ethnic Detective" anthology I listed on my FFB post today (at least in spirit). It sounds like the type of book I love, that really pulls you down into its world and the setting. And although I appreciate good translators, I'm always concerned about how much of the original voice is lost, so I'm pleased to find such internationally-themed books I can read in the original language.